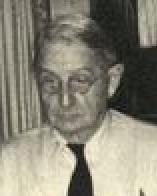 John Maurice Clark was an American economist, son of J B Clark. Educated at Amherst and Columbia where he gained his Ph.D. Lectured at Colorado College, Amherst, the University of Chicago, and Columbia where he was given the J.B. Clark chair created in his father’s honor. Clark’s work is characterized by his attempt to transform the static models of economic theory into dynamic models which would correspond mare closely to the real world. His book Economics of Overhead Costs took economic theory a step closer to dynamic analysis. Introduced the ‘acceleration principle.’ According to this principle, investment is dependent on the rate of change of output or consumption spending.